A great opening effect! You are supplied with one black glove and one white glove. You take off each glove and place them together in your hand. 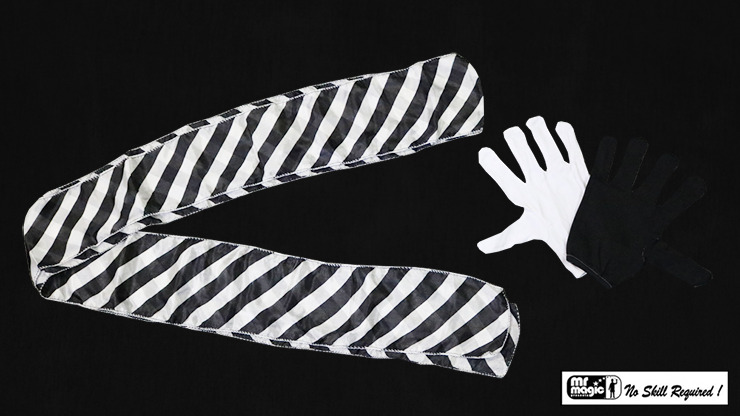 Magically, you turn the two gloves into one beautiful black and white silk streamer. Very easy to learn and perform!